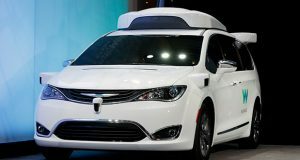 The move by Waymo, which started Oct. 19 with an automated Chrysler Pacifica minivan in Chandler is a major step toward vehicles driving themselves without human backups on public roads. 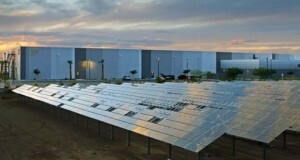 Governor Doug Ducey has signed a bill granting Apple renewable tax credits and tax exemptions for the $2 billion data center it plans to open in Mesa. Apple’s big plan to build a $2 billion data center in Mesa has some of the Capitol’s most ardent free market advocates tasting the forbidden fruit of targeted tax incentives. State officials yesterday (Feb. 2) announced a major business coup – Apple is building a $2 billion command Center in Mesa. But Apple is getting something in return. Apple plans to build a new command center in Mesa, a $2 billion project that will be one of the largest investments the company has ever made and marks the first big economic development announcement for new Gov. Doug Ducey, who campaigned largely on a platform of bringing jobs to Arizona. Sapphire materials maker GT Advanced Technologies, which filed for Chapter 11 bankruptcy reorganization in October, said Thursday that the Securities and Exchange Commission has opened an inquiry into its business. Opponents of the targeted tax credits and incentives that have become increasingly popular at the Capitol are hoping the bankruptcy of a company that was slated to receive massive tax breaks under a 2014 bill will make lawmakers think twice in the future. A deal between Apple Inc. and a synthetic sapphire glass maker that was gearing up to produce huge amounts of the product for Apple in an Arizona factory allows for the sale of more than 2,000 furnaces to repay Apple. Apple Inc. has reached a deal with a synthetic sapphire glass maker that will allow details of contracts between the companies and the business problems that led GT Advanced Technologies to a financial crisis to remain secret. Arizona taxpayers are lucky to have escaped the latest failed corporate subsidy scheme with their wallets intact.